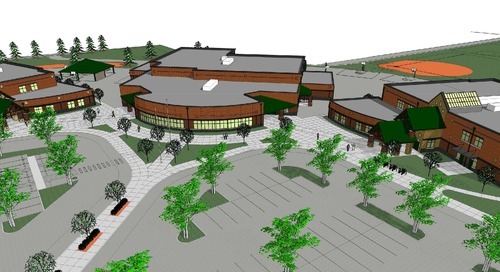 Students, families and community members are invited to learn about careers in southwest Washington at Battle Ground Public Schools’ Industry Fair on Tuesday, March 27 at Battle Ground High School. Students and community members who attend the fair will be able to learn about career paths by talking with local employers about available job opportunities. Come to the industry fair with your current resume or arrive early to participate in a resume writing workshop. 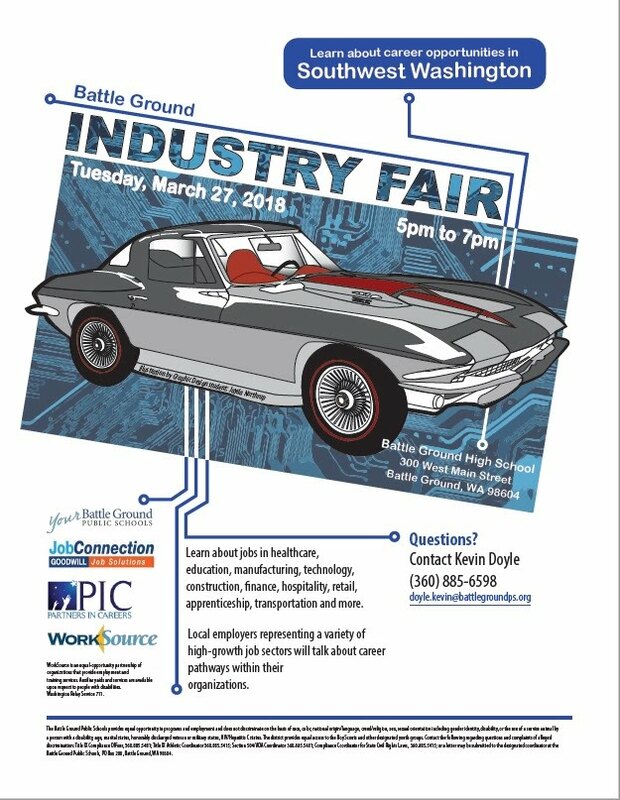 The event, sponsored by BGPS, Goodwill Job Connection, WorkSource, and Partners in Careers, will be held from 5 to 7 p.m. at Battle Ground High School, 300 W. Main St., in Battle Ground. The resume writing workshop will be from 4:00 to 6:30 p.m. in the school’s College and Career Center. More than 50 employers will be in attendance to discuss employment opportunities along with working conditions and special requirements. Employers from the health science, manufacturing, technology, construction, finance, hospitality, retail, human services, and transportation industries will be in attendance.